I am embedding a couple of clips from I wanna Believe, which I found in UTube! They look interesting. We all know that the movie is a stand alone monster film, so the second clip where Billy Connolly explains what he sees is intriguing. Of course followed by the usual argument between Mulder and Scully! Thanx for bringing the movie back Chris! Clip 1: Nothin special about this clip! Ready for I Want to Believe? I can’t wait for the new film. The official preview show here is on July 24th but in German. The English version comes out on July 25th as well. I am planning to catch both the preview and the OV the next day. Since it’s a stand alone type story and Chris is at the helm of affairs, it should be way better than the first movie. As a tribute to X Files, I am gonna retain this header for sometime! X Files 2 Trailer from WonderCon 2008! Most X philes would be knowing that David, Gillian, Chris, and Frank visited WonderCon and spoke about the movie a lot! Some internet rumors about the plot of the movie were also kinda discussed! Many videos from their visit are still available in youtube! I will embed them here anyway by tomorrow! They also showed a trailer and it featured Billy Connolly prominently! He seems to be walking in snow with a large group of FBI agents, along with Scully and Mulder! He can be heard sayin, “It is is here”! One thing that is clear is that this one is gonna be a stand alone type monster movie, so it was interesting! But there is nothin more anyone can learn from the trailer! Someone recorded the trailer over at WonderCon and the uploads started showin up on youtube, but most are dead by now as the tube has taken down most of ’em! I have anyway posted the video over at dailymotion and embedding the same for your viewing pleasure! Will post in detail about my views later! For the time being, enjoy the trailer! X Files Done One – Progress! 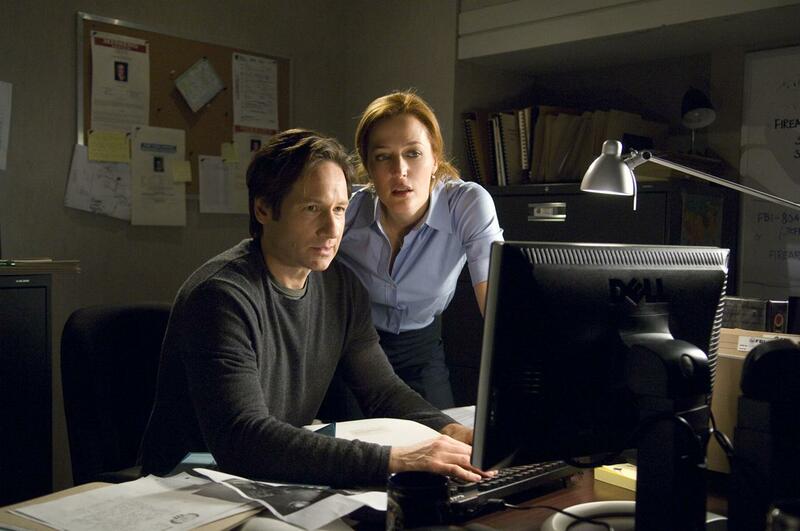 As u folks would know the second X files movie is currently filming and is coming out this June! Chris Carter had mentioned earlier that this movie will have nothin to do with the mythology series in the show and instead will be some kinda stand alone type monster movie! But the plot of the film is under wraps and no one knows anythin more than the fact that the running title for the movie is Done One! 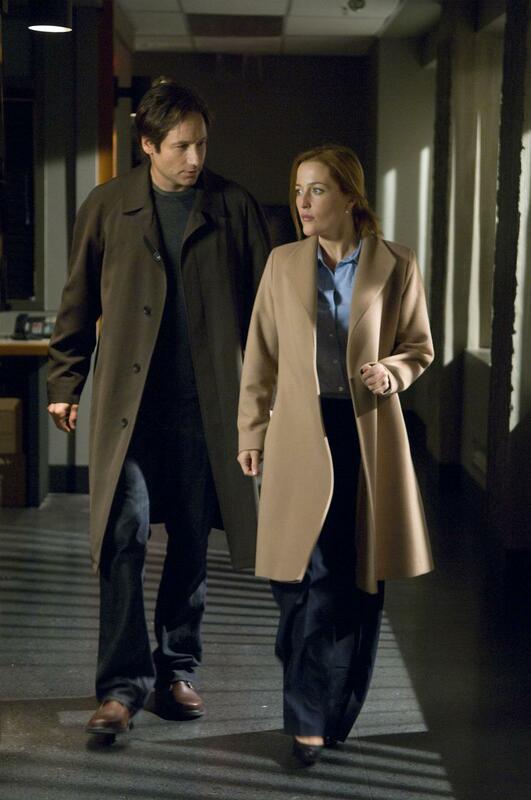 A few days ago some pictures surfaced on the internets showing Mulder and Scully from the new film! I am posting the pictures rite here and hope I am not gonna get a request to take the pics down! So here they are! Click on the thumbnails for high resolution pictures. As I had mentioned in my previous post, I have also uploaded the entire 4 hour show over at usaupload as usual. It is one zip file, and you will find 4 mp3 files, Hours1 thro 4 of course! Hope some of you visitors would find this useful! The penultimate episode of theparacast this year! Haven’t listened to it entirely yet! But the reviews from fellow listeners have been more or less positive! But it seems like there are some open ends in the interview that might be checked out when the guest returns sometime! Dr. Richard Sauder was interviewed and the theme was Black Projects, not just ET reverse engineering (Here we go again! ), but also top secret down to earth black projects! Am listening to it rite now! Just right click and download! Dr. Richard Sauder visits theparacast! Staying on with paranormal radio, here is the December 16th episode of theparacast. This episode was great! It featured a round table discussion with Mac Tonnies, Jeff Ritzmann, and Daniel Brenton! The current state of affairs in paranormal research was discussed in detail and some ideas were discussed to lend credibility to the investigation of paranormal phenomena! It’s a great listen, I promise! Just right click and download! Remembering the good ol’ days! How about reminiscing about the time when The X Files came on television and completely blew away a whole lotta people! Mark Snow‘s original X Files theme is probably one of the best ever. Here’s the theme again for your listening pleasure!